After installing OfficeOne TrackShow, click the Slide Show tab or menu to access Track Slide Show button. 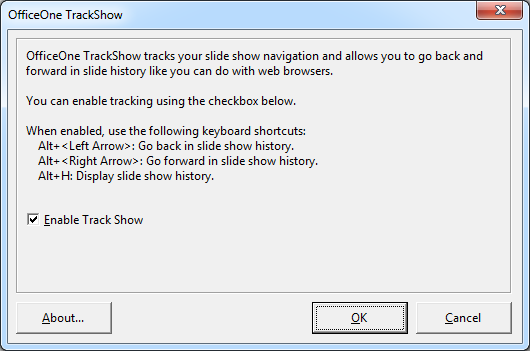 You can enable Track Show through the dialog box that you get by clicking Track Slide Show button. These keyboard shortcuts too are the same as that you use with your Web Browser.